9/11, 7/7 & the War on Freedom :: View topic - Private military/MI6 theft behind 2009 MP expenses 'crisis'? Private military/MI6 theft behind 2009 MP expenses 'crisis'? Posted: Thu May 21, 2009 12:15 am Post subject: Private military/MI6 theft behind 2009 MP expenses 'crisis'? Best piece of journalism so far on the MP expenses 'constitutional crisis' op. MP's Expenses "Journalistic Made Up Frenzy"
It sounds like a scene from the TV drama 24. A person unknown in a government office copies an entire terabyte of data from a classified computer to a portable hard drive, which is then whisked away from under the noses of colleagues and security alike and ­spirited out of Westminster. That hard drive contains revelatory material – all the expense claims made by 646 members of parliament over the last five years. Two million documents in all, including copies of expense claim forms, handwritten comments scrawled in margins, even attached sticky notes. For unexplained reasons, the hard drive and its data does not show up on any security manifest and Commons authorities are unaware of its existence. Time to call Fleet Street and cash in. Whether that scenario, outlined by a newspaper executive with knowledge of the situation, came to pass, or whether the truth was more prosaic, the Daily Telegraph's expenses investigation has shaken up the political establishment; sent sales of the paper soaring; and left frustrated rivals asking questions about chequebook journalism. The expenses data was sighted by at least three other newspapers before the Telegraph broke the story more than a week ago. Two months ago, the Times was approached via a phone call judged sufficiently interesting for three journalists to take a taxi from the House of Commons to the offices of a public relations firm on Wednesday 18 March. The meeting lasted 30 minutes and some details from the hard drive were divulged by a businessman who said he was acting as an intermediary for the source of the material, which is presumed to have come from the House of Commons fees office. When a payment of £300,000 was requested – £250,000 for the data and £50,000 for the businessman's company to analyse it, plus unlimited legal indemnity – the Times said no sale. That intermediary has been named by the Wall Street Journal, the Sunday Times and the Mail on Sunday as John Wick, a former major with the SAS who is a director of a private security company, International Security Solutions Limited [ISSL]. He is believed to have been assisted in his endeavours by Henry Gewanter, the American managing director of a PR firm, Positive Profile. Contacted by the Guardian yesterday, Gewanter declined to comment on whether he had been involved. Wick has been the director or secretary of several private security companies, many of which have been dissolved. According to filings at Companies House, Wick has held 29 different appointments dating back to 1990 when he was a director of Hereford International Security Group, based in Hereford, the home town of the SAS. He has resigned 12 times and 16 companies have been dissolved. Fellow directors in some of the companies included two former commissioners with the Metropolitan police, Sir David McNee and Lord Imbert. ISSL, where Wick is currently a director, specialises in "corporate risk management". The company website says it is involved in anti-piracy schemes and kidnap and ransom response services across the world. It also undertakes complex financial investigations. Another director of ISSL is Sir Brian Goswell, the Conservative-supporting businessman. Whoever the seller of the expenses was, they have been dismissed by some in Fleet Street as a "rank amateur" and a "Max Clifford wannabe", criticism borne out by the fact that he did not approach the two newspapers that probably would have paid him most for the story, the Daily Mail and the Mail on Sunday. Two senior journalists at their parent Associated Newspapers confirm they were not approached. Why? One credible theory advanced is that the seller did not know what he was doing. Eleven days after the Times ­journalists held their meeting, the Sunday Express splashed with the revelation that the husband of the home secretary, Jacqui Smith, watched two pornographic films which were subsequently claimed on expenses. The story is believed to have come from the same source. A source at the paper says it will not comment for legal reasons, and that the paper is still in fear of "a knock on the door" from the police investigating how it obtained its scoop. The Telegraph Media Group editor-in-chief, Will Lewis, is also concerned, and has been heard to make a reference to "these dangerous times". Police action is a real threat. After the Times, the seller approached the Sun. He offered a small portion of data for a large sum, which did not impress the Sun editor, Rebekah Wade. One external source claims the Sun was only willing to offer £20,000. Wade cancelled the deal. "Rebekah thinks that was a mistake," a senior Sun editorial executive says. "We probably could have got the lot if we had done the first deal." Rebuffed by two papers and ­maybe unhappy with a third (there were no ­more revelations in the Sunday Express) the seller approached the Telegraph, demonstrating again his ­amateurism by simply calling the newsdesk. Whitehall leakers have in some cases been jailed: in other cases they have been found not guilty after pleading public interest. Lawyers believe it would be harder to mount a whistleblower defence if the leaker was seeking to sell the documents for large sums of money. House of Commons authorities believe they know how security was compromised and police are investigating the leak. This may explain why the Telegraph has been less than forthcoming about the provenance of its scoop and why other papers have not explained why they passed up such a story. One source who wished to remain anonymous told the Guardian that he suspected that Gewanter might be "in a bit of hot water". The PR man is believed to be seeking legal advice. He was quoted in the Mail on Sunday as saying: "There is a chain of people involved. The government would like to catch one of us and waterboard the hell out of us until they get the next one down the chain." That really would be straight out of 24. Gordon Brown's enforcer gave Labour MPs the green light yesterday to wreak revenge on what he claimed were the dark 'establishment' forces who made the Commons Speaker quit. I don't see that Nick Brown's 'class warfare' idea would make sense, considering that Gordon Brown & Co are heading for disaster at the polls within the next year anyway. This could be a turning of the tables, if Brown, Brown and Martin are themselves part of 'the establishment'. Who runs the country if it's not the Cabinet? The 'rank amateur' could have been just that, or he could have been feigning amateurism to give a false lead. The effect of all this, however, has been to discredit Parliament. Things could now go one of two ways: to reduce the scope of Parliament, or to fight back and reestablish Parliament as a democratic institution. Maybe this is meant to make Europe look a better option to British people? I should have thought that would have been a very risky way of going about it. What sort of psyop would they now have to have in place to make that work? I've just found this report: 'The Educational Backgrounds of Members of the House of Commons and House of Lords', December 2005, by The Sutton Trust: http://www.suttontrust.com/reports/PoliticiansBackgrounds_09-Dec-05.pd f .
You might as well label New Labour as "Fettesians" as call all Conservatives "Etonians" - William Hague was at South Yorkshire comprehensive, not exactly a bastion of privilege! Only one New Labour person went to Fettes - Blair - and he's not even in the comms any more. And I note Tories are hiding behind Hague to prove that they have lots of comprehensive people in their party LOL. LibDems: 20% went to state selective schools. Most of the MPs who went to state selective schools (aka grammar schools) are over 40. As time goes on, they will dwindle as a % of MPs, reflecting the abolition of grammars in most parts of the country in the 1970's. I just thought that ought to be recorded somewhere, as we are trying to understand what's going on. The former SAS officer behind the disclosure of MPs' expenses claims has left a trail of bad debts from a succession of failed businesses, The Mail on Sunday has discovered. Twice-married John Wick, who claims to be close friends with a number of Tory grandees whom he refuses to name, has said his decision to sell the sensational documents was motivated by a sense of public duty. The 60-year-old has also said he wants to highlight MPs' 'ongoing abuse of taxpayers' money' - even though his own ventures have left thousands of pounds in unpaid tax. His money problems suggest he badly needed the reputed £100,000 he was paid for the Commons expense claims, which were originally touted to newspapers - not including The Mail on Sunday - for up to £350,000. * Mr Wick has left a string of 16 collapsed businesses behind him, with debts totalling more than £7million. * His failed business ventures have left former military comrades tens of thousands of pounds out of pocket. A former Metropolitan Police Commissioner who briefly served on the board of one of Mr Wick's companies has distanced himself from the businessman, calling him a 'swashbuckling sort of a man' whom he did not trust. The debts Mr Wick left include a string of unpaid bills, such as £34.56 from his milkman, £195.61 for a water cooler - and £35 from the Shangri-La guest house in Whitley Bay. But Mr Wick has a reputation for 'phoenixing' - a term used when businesses collapse and then start up again under a new name within weeks. He set up his current firm, ISSL, a small City-based private security business, shortly after he was discharged from an IVA, a legal device designed to stave off bankruptcy, in June 2007. This is an Intelligence/Private military/City of London/Tory Black Operation. A cool calculated hit on the interests of ordinary working people by the political faction representing the banksters. John Wick, who claims to be close friends with a number of Tory grandees whom he refuses to name, has said his decision to sell the sensational documents was motivated by a sense of public duty. Here is an article from the May 17 Mail on Sunday, which includes more details about John Wick and his collaborator Henry Gewanter, and their role as middlemen in this affair. Gewanter is quoted as saying, "There is a chain of people involved" in leaking the MPs' expenses claims. A former Parachute Regiment major and an American-born City public relations man are key players behind the sensational leak of MPs’ expenses claims. A Mail on Sunday investigation has uncovered their role in supplying computer disks containing MPs’ receipts, leading to a string of shattering revelations about politicians’ conduct. Both acted as middlemen to negotiate the sale of the information, which they apparently obtained from another unknown source preparing it for the House of Commons authorities. Last night one of those involved claimed that they could now be made scapegoats by the Government and even feared arrest and ‘torture’. The main conduit for the information is John Wick. He is a former soldier who is said to have served in the SAS and is now the boss of a London-based private security firm, and was directly involved in offering the computer disks to at least two newspaper groups. Twice-married Mr Wick, 60, runs International Security Solutions Limited (ISSL), a firm specialising in helping shipping companies deal with the threat of piracy. He is working with American-born PR man Henry Gewanter, who is known to have passed ‘samples’ of the expenses claims of individual MPs to several newspapers and allegedly asked for fees of up to £350,000, including up to £15,000 in cash just to view the material. Neither man ever approached The Mail on Sunday. Last night Mr Gewanter said: ‘The Government is fighting awful hard to suppress the truth about what they have been doing and I have taken a big risk, a personal risk, in bringing this story to light because it is the right thing to do. How the pair first became involved in the affair is unclear, but it is believed to be linked to Mr Wick’s military background. The House of Commons has recently employed former soldiers as ‘data controllers’ to prevent MPs’ personal information being leaked. It would be ironic if the decision to beef up security in this way led to information being passed to Mr Wick. If I had stolen this hard drive I'd expect to be arrested. Just park a couple of facts for a moment, which you may not agree with but are factual. The first is that MPs have always been encouraged, by whatever means possible, to draw down their ACA allowance in full. This is because it was upped in place of an appropriate pay rise. The rules surrounding the ACA were deliberately sloppy in order to maximise the opportunity that MPs had to draw. This was always felt to be the safest political method to remunerate MPs, rather than face the media backlash of a pay rise. Parliament is in chaos. The public are angry. The Telegraph has upped its circulation. There are 650 members of Parliament. In any walk of life, in whatever profession, you will find people who are dishonest. It will always be thus as long as we are all human! The Telegraph are uncovering a few cases of fraud, but not enough, so they are more than slightly embellishing some of the stories. I write as a case in point. Enter the Barclay brothers, the billionaire owners of The Daily Telegraph. Rumour is that they are fiercely Euro sceptic and do not feel that either of the main parties are Euro sceptic enough. They have set upon a deliberate course to destabilise Parliament, with the hope that the winners will be UKIP and BNP. A quick online check of the Barclay brothers and their antics on the Island of Sark is enough to give this part of the rumour credence. Another rumour is that the disc was never acquired and sold by an amateur, but it was in fact a long term undercover operation run by the Telegraph for some considerable time, carefully planned and executed; and that the stories of the naive disc nabber ringing the news desk in an attempt to sell the stolen information are entirely the work of gossip and fiction. These rumours do have some credibility given that this has all erupted during the European Election Campaign and turn out is expected to be high with protest votes, courtesy of the Daily Telegraph, or should I say the Barclay brothers. Now, if this is all a power game executed by the BBs, how would they do that? It is a fact that these men are no fools and are in fact self-made billionaires. I would imagine and believe that if any of this is true, they know the British psyche well enough to whip up a mood of public anger, hence the long running revelations in the DT. Where do I get this from? Well, at heart I am just a cheeky scouser. I like to go into the rooms of the faceless and nameless in Parliament, sit on their desk and ask pertinent questions like: who are you? What do you do? I've made friends with one or two. One in particular I am very fond of. He is a mine of very astute information; and whilst in his office yesterday, we chunnered over the 'what is this all about?' question. He reckons this is all a power game. That the British public are being worked like puppets by two very powerful men. Whipped up into a frenzy to achieve exactly what they want. His very poignant words to me were "if any of this conjecture is true, Parliament will become full of racists, fantasists, and has-been celebrities. We will be rendered impotent and may never again regain the authority to withstand the pressure, opinion and whims of the overtly wealthy." The technique deployed by the Telegraph, picking off a few MPs each day, emailing at 12 giving five hours notice to reply, recording the conversation, not allowing them to speak, shouting over them when they try to explain, telling them they are going to publish anyway, at day 15, is amounting to a form of torture and may have serious consequences. Nadine Dorries, the Conservative frontbencher who claimed the Daily Telegraph's revelations on expenses could drive MPs to suicide, has had her blog shut down by lawyers acting for the newspaper. The virtually unprecedented action against a serving MP came after Dorries was disowned by her party leader, David Cameron, and described as "wacky" by senior Conservative sources. She had claimed that MPs were being "tortured" by the Telegraph's dripfeed of revelations. The newspaper is understood to have acted after she made further allegations concerning the motivation of the newspaper's proprietors, Sir David and Sir Frederick Barclay. Withers, the lawyers acting for the Barclay brothers, are understood to have instructed the takedown, invoking the acceptable user policy used by internet service providers to protect themselves against libel action provoked by comments on websites they host. Dorries was defended by fellow bloggers yesterday, including Iain Dale, who said he had not agreed with Dorries's allegations "but so what? I defend her right to say it, no matter how ill advised I think some of it might have been for her personally. Can it really now be illegal or libellous to question a newspaper's agenda and motives, or those of its owners?" As an MP, if Dorries chose to repeat her allegations on the floor of the Commons she could expect to be covered by parliamentary privilege, which protects MPs against being sued for libel and is designed to preserve their right to free speech in the public interest. But privilege does not cover comments made outside the chamber. Dorries, a former nurse best known for her attempts to change the law on abortion, has herself been targeted by the Telegraph. It forced her to disclose to constituents that she lives partly in the Cotswolds despite designating a rented house in her Mid Bedfordshire constituency as her second home. She has been the only MP so far to pre-empt the newspaper by publishing on her blog the letter it sent to her outlining its allegations. 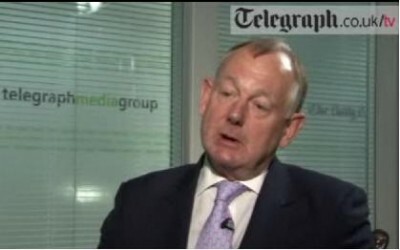 In an article for the Independent newspaper published yesterday, Dorries said the investigation was becoming a "witch-hunt" and attacked the Telegraph for "picking off a few MPs each day, emailing at noon, giving five hours to reply, recording the conversation, not allowing them to speak, telling them they are going to publish anyway". Dorries is herself threatening legal action over the leaked Damian McBride emails discussing smearing senior Tories, which she says contained false and scurrilous allegations against her. A spokesman for the Telegraph yesterday declined to comment. Non-stories still coming thick and fast daily on this issue. HOW DARE an MP claim for a digital camera! They might use it to photograph bankers and bent spooks. Another MP 'bought a digital camera'. Are we going to have Telegraph revelations soon about how much of our money the criminal banksters have been spending on prostitutes, bribing MI5 & 6, funding wars and hard drugs? Have you noticed that all these reports about MPs expenses have come from the Telegraph and Sunday Telegraph? So who owns the Telegraph -The Barclay Brothers, David and Fred Barclay. The Scottish born identical twin brothers also own the Spectator; the magazine ‘Business’; the Ritz Hotel in London. and the Channel Island of Brecqhou close to Sark where they live in a mock gothic castle. They are tax exiles and are reputed to be worth around two billion pounds. During the current Financial crisis, the Prime Minister announced that he would be closing some of the tax loopholes available to residents of the channel islands and elsewhere. Get the drift? the circulation of the Telegraph is 800 000 and has increased by another 90 000 due to the MPs expenses issue. HAZEL Blears took a massive sideswipe at Gordon Brown yesterday — as she quit wearing a brooch saying “rocking the boat”. The Communities Secretary wore the accessory on her white jacket as she left Downing Street for the last time. Ms Blears rocked the boat even further by making her bitterness at the Prime Minister clear with her letter of resignation. The Cabinet minister, 53 — under fire over expenses claims — failed to give Mr Brown a single word of praise. And she refused to urge Labour MPs to stand by the embattled PM. The brooch features a dog and cat sitting in a tiny boat on a silver sea. The motorbike-riding MP’s husband, solicitor Michael Halsall, bought her the brooch in a shop in her Salford constituency, Gtr Manchester. The jewellery is made of oxidised silver and decorated with stars and a moon made of nine carat gold. The £135 item was designed by Nick Hubbard and the boat on it rocks from side to side if its handle is operated. Which boat is Hazel Blears rocking? Not necessarily Gordon Brown's, I think. There's a lot of ambiguity here. Harriet Harman, Labour's deputy leader, would block the coronation of a unity candidate and fight for the leadership of the party should backbenchers attempt to force Gordon Brown from office before the next General Election, The Daily Telegraph has learnt. Labour deputy leader Harriet Harman has denied a report she would fight for the party leadership, as speculation grows over Gordon Brown's position. She insisted the story was "simply not true" and under "no circumstances" would she be a candidate. She told the BBC's Today programme: "I don't want to be prime minister and I don't want to be leader of the party." That page includes a video clip of her television interview, in which she added the word 'not' to the Daily Telegraph report. To me, Harriet Harman came across a lot more sincerely than Hazel Blears. Long before this incident I had felt that Hazel Blears' fixed grin and her smugness implied she might be hiding something. But what? It also struck me at the time that her antic was directed not against Gordon Brown but against Harriet Harman. She is succeeding in destabilising not just Gordon Brown, but the whole cabinet. By timing this for the eve of an election, she is also succeeding in destabilising the entire Labour Party. However, the idea that that could be her intention is just unthinkable. So let's try thinking it. Clare Short stated in her book 'An Honorable Deception' that the New Labour Group didn't seem to empathise with the traditional values of the Labour Party which they had taken over. Many people see them as having taken over Conservative Party policy when they gained office. The logic of this is to think that they may have been using the Labour Party as a front for their own agenda. So what happens when that agenda is fulfilled, or for whatever reason the Labour Party is of no further use to them. Would they be fighting to save the Party? Why would they? It would make sense for them to sink the party, so that power could be transferred to others. That would only work if they had similarly infiltrated the main opposition party. I have felt for a long time that the melt-down in membership of the Labour Party could have been pre-planned. If someone could come up with membership figures for the last twenty years or so I'd be interested in analysing them. It's looking a bit like what happened in the Communist Party of Great Britain and the Socialist Workers Party, and probably others, like the Esperanto Association. I have seen rows in the past which I would say were almost certainly faked. I am not convinced that the row between Tony Blair and Gordon Brown was entirely genuine. Nor am I convinced that Gordon Brown is even trying to impede the current melt-down. This doesn't preclude a wider agenda on Hazel Blears' part, such as destabilising Parliament itself, but the immediate effect of her actions has been to destabilise the cabinet and the party on the eve of an election. Perhaps that was indeed her intention. If it was just for them to increase their circulation only it could be plausible. But there must be more to it. Weakening the size of the Tory win, not wanting a one-party government anymore as it will be faced with catastrophic economic consequences. The Sheikh from Arabia who just did a Soros on us once more with Barclay shares is also an unexpected winner of Browns bailout of the ...banksters. Brown has always been there man from day one. If they are seeking to ditch him they are doing it in style. Capitalist 'anti-capitalism' from the mouthpiece of the City of London, the Telegraph is truly astonishing taking into account they only ever operate on'expenses' in a tax-free business environment. Their previous owner makes every MP's fraud look saintly in comparison. 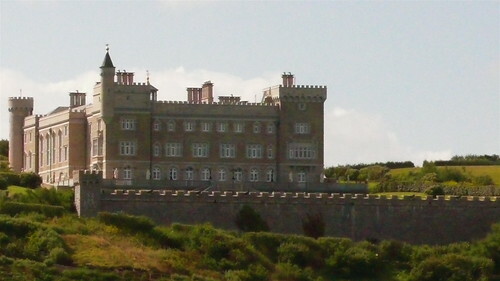 ...and the Channel Island of Brecqhou close to Sark where they live in a mock gothic castle. Opening up all public bodies to the closest of public scrutiny - this is sounding good Gordon. Important sentiment in this engineered crisis. Are all his cabinet resigning over expenses? If not, what is making them go? Is it really down to these Barclay brothers? Because thats got me feeling sorry for the tub of lard (and more importantly myself and the rest of us if we are being had). Someone slap me. That is a very pertinent question. Reminiscent of how the so-called 'Untouchables' finally nailed Al Capone on tax evasion. Only this time it's Al CaHoon and Co, even if Straw appears to be lying low. So very sick really. They refused to resign over the dodgy dossier or the deaths of Kelly, Mowlam or Cook so it's down to stealing stamps or whatever. Such is the political mind - and yes, the Barclay Bros appear to be retaliating...perhaps take a look at their Monaco & Bank of Scotland connections? Aren't they maybe 'sleepers' who have been detonated remotely as part of the wider PsyOp on the Prime Minister? But why the psyop on him? He does the 'terror' 'terror' terror' thing for them. Is it just down to a smallish group who will have to pay more tax? If so, how are they making these cabinet members jump? I've not the time or inclination to research these brothers thoroughly at the moment Thermate911. Strange to see fingers pointed, names and addresses posted, whereabouts divulged on this thread after our exchange. Do you think the posters can expect the full force of the law to come crashing down on them? Is the Prime Minister the target here? Or is he part of the game? Someone said on this evening's news (sorry I haven't got the reference) that Tony Blair said to a Labour MP that Gordon Brown was just like him. So it seems that the psyop would be either (1) to undermine Gordon Brown as Prime Minister or (2) to destabilise the Labour Party. I think I'm still going with 2, but it's hard to tell. Gordon appears to be the main psyop target. As Harold Wilson was in 1975. Let's hope he's watched A Very British Coup...! Have you noticed - Blair's expenses record has been 'lost'. Hi Tony, well it looks like we reached a similar conclusion. BB`s are small fry. MI6 is run by the Rothschild family and it is they who have allowed The Telegraph to wreak havoc in parliament. Its not only the faces of UKIP and the BNP that we should be worried about. I am in the process of doing FOI request to Lambeth Council. I am requesting information on payments to Common Purpose, this will also give the number of Lambeth employees who have attended these NWO brainwashing courses. These are our potential future MP`s and we should be very worried when a construct such as MP`s expenses, drives them out of office. It would be interesting to know how many current MP`s have been on Common Purpose courses, compared to the next generation of NWO puppets going into the next parliament. I can see the pattern can you? Whistleblower or political thief and criminal? His career has included four years as Account Director at First Financial, part of the Lowe Bell Group, two years as Deputy Head of Public Relations and Head of Advertising at investment bank County NatWest, and eight years with National Westminster Bank. Gewanter established Positive Profile in 1997, after leaving Financial Dynamics, where he had set up and run their Financial Services Division for five years. A middleman who helped pass on details of MPs' expenses to the Daily Telegraph has said it was done for the public good and not to make money. Public relations consultant Henry Gewanter told the BBC's Newsnight he was "extremely proud" of his actions. Mr Gewanter said he was surprised how difficult it had been to get the information published. "I thought it would be a very simple straightforward job, all I would have to do is approach one decent newspaper and that would be the end of it," he said. He said none of the newspapers declined it, but they wanted it on their "own terms". "One of the prime conditions was that whichever newspaper did get the exclusive had to be willing to cover every MP who misbehaved from whatever party. "There is at least one newspaper who wanted to use it to destroy one party." Ms Harman was revealing the government's plans for cleaning up Parliament in the wake of public anger over MPs' expenses claims. The expenses scandal began because the mole who caused the leak was angry about inadequate equipment for the armed forces, the Daily Telegraph said. The newspaper says staff who worked in secrecy processing the MPs' receipts were guarded by moonlighting servicemen on leave between tours. They became angry when they learned of MPs' lavish claims when soldiers had inadequate equipment, the paper says.